I was browsing online the other day like I always do and I came across an article about a list of foods that hipsters love. I found it hilarious that one of the foods on the list was ramps. 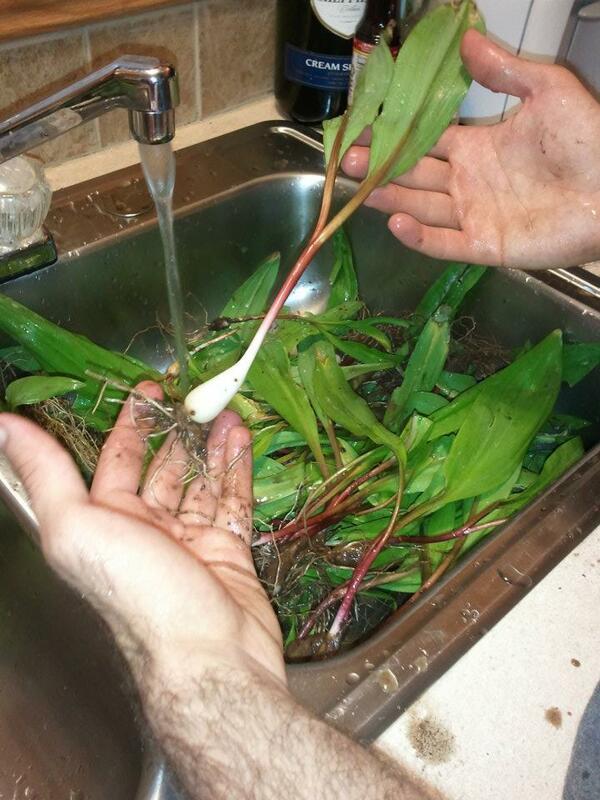 Now I personally had never heard of ramps until exactly two years ago today, one of my best friends took me ramp digging (gathering, foraging?) out in West Virginia. 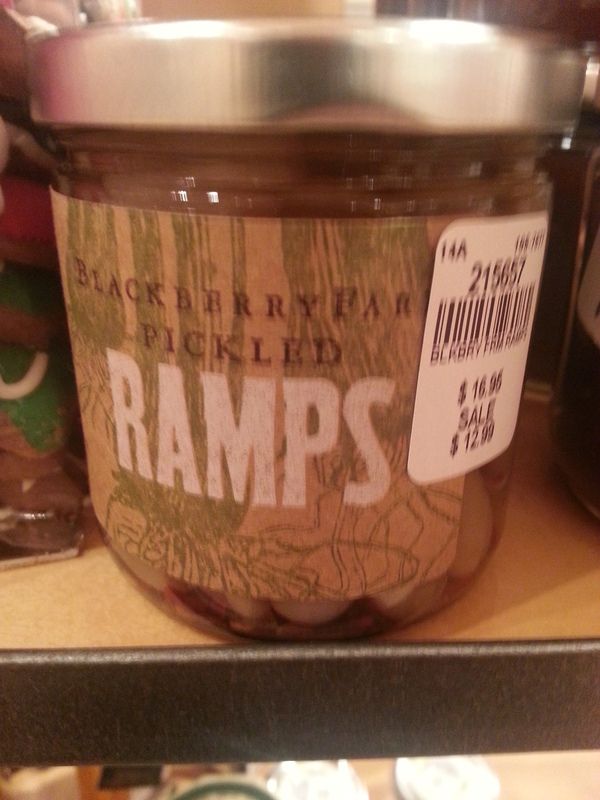 Before the trip, I was like “What the heck is a ramp?” To me a ramp is an inclined surface, not something that one can eat. The definition of a ramp from Wikipedia: Allium tricoccum – known as the ramp, spring onion, ramson, wild leek, wood leek, and wild garlic – is an early spring vegetable, a perennial wild onion with a strong garlic-like odor (ME: strong is an understatement) and a pronounced onion flavor. Our adventure had us go into the woods of West Virginia (don’t ask me where we went, there were lots of windy curves and we were in the mountains somewhere. I alternated between falling asleep and trying not to throw up. 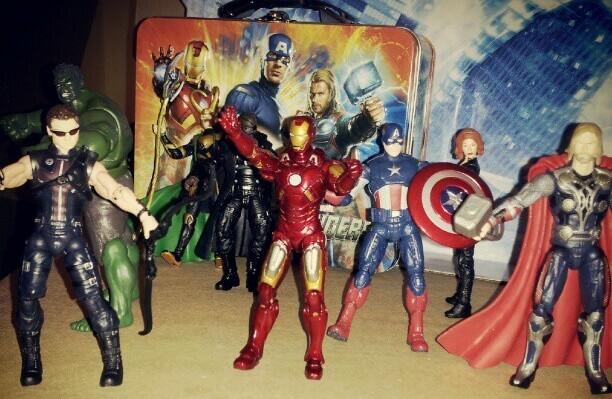 I would make a horrible witness.) to find this specialty vegetable. Since I had no idea what I was looking for, I let everyone else do the hunting while I got to hold the the bags we brought to collect the stuff. “So this is what it was like in the 1800s when one had to look for food,” might have been the thought that was running through my head during this whole expedition. Eventually I figured out what I was supposed to be looking for (after numerous occasions of only pulling up weeds) though I became an expert at shaking off dirt from ramps that were collected by everyone else. I even got to eat a ramp raw, fresh out of the ground (with the dirt washed away of course). Erhm, that wasn’t an experience I’d like to experience again. As I stated in the definition above, the flavor is very STRONG. My face while tasting it generated a lot of chuckles. The foraging part was quite fun. It was really nice being out of the woods and getting away from the noise of living in the city. It was really quiet and the air felt fresh. Granted, I was a bit nervous that a bear might come rambling out of the woods at any moment but my companions had protection and were well versed in all sorts of survival training. I may or may not have pretended I was in Survivor or Little House on the Prairie at certain times as we climbed over fallen logs, walked through streams, and got smacked in the face with tree branches. Also for the record, seeing a guy forage for food is pretty hot. When it was all said and done, we got BAGS of these things. Before you ask, those hairy arms do not belong to me. Basically I did something that apparently many hipsters and foodies in big cities would pay $$$ to have that same experience. And the best part is I did it all without having any idea how “cool” it was. WHO’S THE HIPSTER NOW?